Sobering thought: Low-alcohol wine set to boom? As the number of “low alcohol” wines for sale continues to grow, industry experts are divided over the demand for these products – and whether their taste will ever satisfy the sommelier’s palate. Australian Vintage has become the latest in a long line of global wine companies to launch low-alcohol – or 5.5 percent ABV (alcohol by volume) – products. 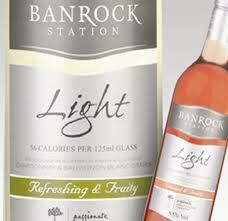 Its “Miranda Summer Light” range will sit alongside low-alcohol or non-alcoholic brands from producers including JP Chenet, First Cape, Gallo and Banrock Station. Thomas Jung, Australian Vintage’s chief winemaker told CNBC the decision to launch the product was a direct result of a growing demand for low-alcohol wines. Research by Kantar World Panel revealed that in the U.K. alone, the value of the low-alcohol wine market grew by over 70 percent year-on-year in the 12 months to February. Last year, sales of 12-bottle cases hit 950,000 – although this is still a tiny proportion of the total amount of wine sold over the period. One reason for lower-alcohol wines’ growing popularity could be the obvious health benefits. Not only do they reduce the risk of alcohol-associated health issues, they’re lower in calories. A 125ml glass of 5.5 percent ABV wine typically contains between 45 and 60 calories, compared with around 90 calories in a glass of 13 percent ABV wine.